Want to get out on the water? In the water? Under the water? Though Fury’s Water Adventures, choose from underwater explorations on one of Fury’s three catamaran Reef Snorkeling boats, sail in the air on Parasailing boats, see marine life through the floor on the Glass Bottom Boat, or admire Key West’s beautiful sunset aboard a Sunset Cruise! 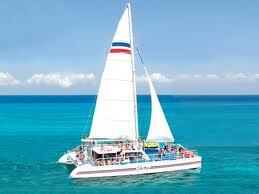 Enjoy paradise with the Fury’s expertly maintained state-of-the-art fleet! Posted in Key West | Comments Off on Aqua Adventures! Stepped back in time lately? Visit St. Augustine’s Oldest Store Museum and enjoy demonstrations from turn-of-the-century inventions to the best time saving miracles from 1900 like goat powered washing machines, gas powered irons, steam-driven tractors, tonics, worm syrup, guns, bikes, and more! 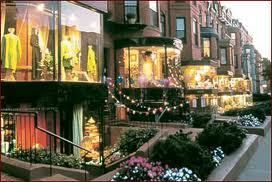 Newbury Street’s origins began under water! It used to be apart of the Boston Harbor! Now, it represents Boston’s sense of fashion and style, on par with the most exclusive districts of San Francisco, LA, and New York! The street houses an eclectic mix of independent shops, high-end fashion, and delicious restaurants. Go and enjoy Newbury’s individuality and unique qualities not often found in other American cities! 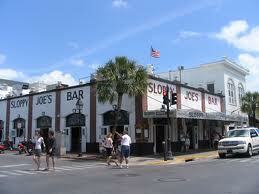 If you want to experience a taste of Key West all in the same place, then go to Simonton Street! Whether you want a slice of key lime pie, a pinch of local history, or a burger at the famous Sloppy Joe Bar, Simonton has it all! Go to the Ripley’s Believe It or Not Museum or go shopping at some of Key West’s premiere retail destinations! And if you’re still hungry after all that, choose from one of many restaurants in the area! Want to dine at Boston’s oldest restaurant? 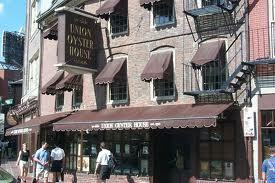 The Union Oyster House is located on Union Street, which was laid out in 1636! This building has stood there as a major local landmark for more than 250 years. In the 19th century, the American people became caught up in a huge oyster craze! In every town there were oyster parlors, oyster cellars, oyster saloons, oyster bars, oyster stalls, and lunchrooms! Over the years, many famous people have come to dine at the Union Oyster House like JFK! Come and enjoy this historical delicacy! Posted in Boston | Comments Off on Oysters, Anyone? 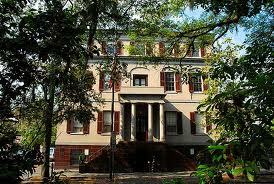 Want to visit the place that has a little of everything Savannah has to offer? 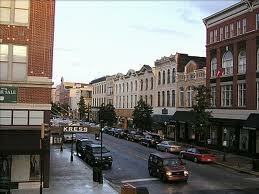 Broughton Street in downtown Savannah provides an abundance of shops, restaurants, and pristine southern scenery! From Asian Bistros to upscale Italian eateries, Broughton Street features it all! 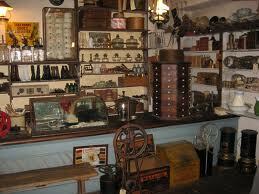 The antiques are plentiful, while the small boutiques offer specialty clothing, gifts, art, and eclectic items. Come stroll and shop! Feel like traveling back 200 years? 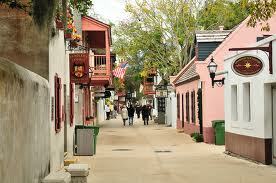 If so, stroll along the Historic Spanish Quarter and enjoy the various restored buildings of this colonial village! Take tour through the Government House which feature current exhibits of the city’s past. Watch historians relive the life of Spanish soldiers and their families or enjoy demonstrations by blacksmiths, carpenters, candle-makers, and other tradesmen! Do you know about Juliette Gordon Low? Founder of Girl Scouts, Savannah is her birthplace and where she lived out her childhood. Her home is now a National Historic Landmark and guests can enjoy the tours of her beautiful mansion built around 1800. Go visit! And learn about the history of Girl Scouts and why there are now 4 million Girl Scouts across the United States! Enjoy exclusion exhibits, artwork, and beautiful gift shop souvenirs. Posted in Savannah | Comments Off on Girl Scout Mecca! 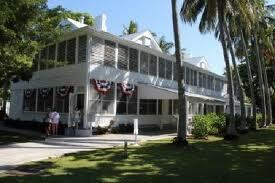 Did you know that what is now called the Truman Little White House originally really served as the naval station’s command headquarters during the Spanish-American War, WWI, and WWII? In 1946, the historic building first served as the winter White House of President Harry S. Truman and a site for the Cold War response by later presidents! Today, it is a public, living museum and a place of government business by the leaders of our nation. On May 17 – 18, the Harry S. Truman Little White House will present its 11th Annual Legacy Symposium on Friday, May 17 and Saturday, May 18. This year’s topic is The National Security Establishment and the Legacy of Harry S. Truman. The two-day event kicks off with a welcome reception hosted by the Harry S. Truman Little White House with Clifton Truman Daniel, grandson of President Harry S. Truman and Representative Ike Skelton of Missouri, who from 2007 to 2011 served as chairman of the House Armed Services Committee. On Saturday, the symposium will begin at the Marriott Beachside Resort with two sessions, The Institutional Structure of the National Security Establishment, an interview with Ken Hechler, who was a member of President Truman’s staff, and an address by author Mark Jacobson. 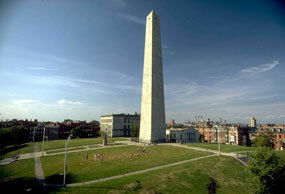 The first monument that commemorated the Battle of Bunker Hill was an 18-foot wooden pillar with a gilt urn erected in 1794. Today, a 221-foot granite obelisk marks the site of the first major battle of the American Revolution. This battle showed the British that even though they had faced a newly-formed and inexperienced colonial army, the Americans were still quite capable of inflicting heavy casualties! Come and admire this testament to American freedom! You are currently browsing the Old Town Trolley Tours Blog blog archives for May, 2013.